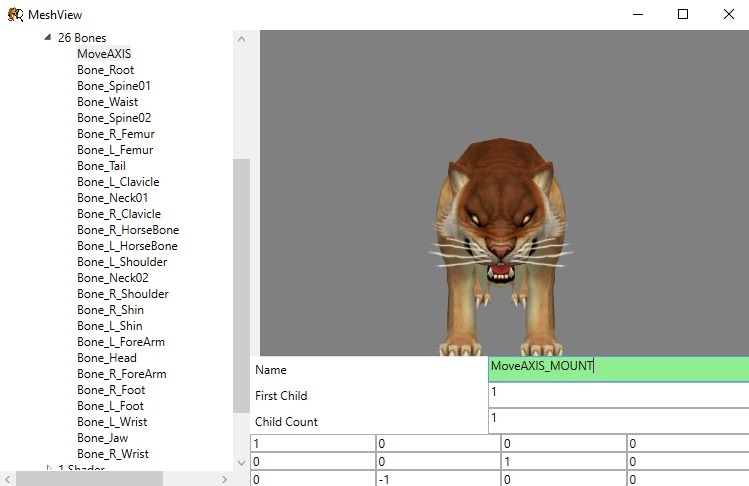 The saberlion record link is just an example, you can use some similar creature or any creature that is used as mount in the game - Hyena, Bear, Boar or Saberlion. However I think with this method its quite possible to make a mountable wolf for example. Continue to read and you will see why. 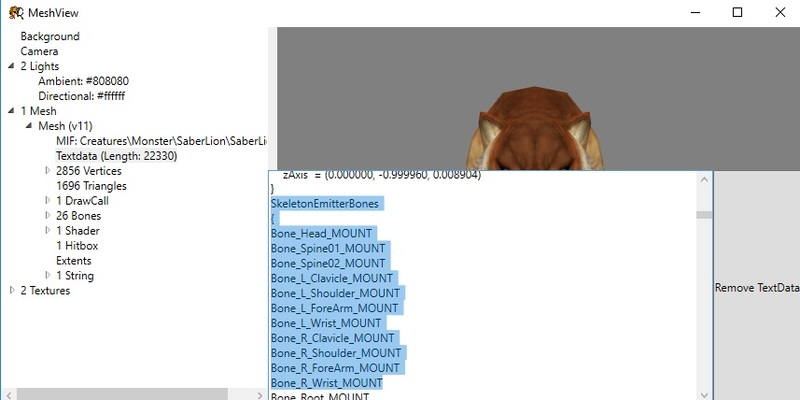 This is all done for the mesh bones to be able to read the "..._MOUNT" Bones in the Mounted Animation files (which contents the combined Rider + Mount animations). This is all that you need to edit. Save the mesh. 6. Next, place the rider mesh in "Titan Quest Anniversary Edition/Database/Creatures/PC/Male" or "Titan Quest Anniversary Edition/Database/Creatures/PC/Female". I suggest you to start with a human first. 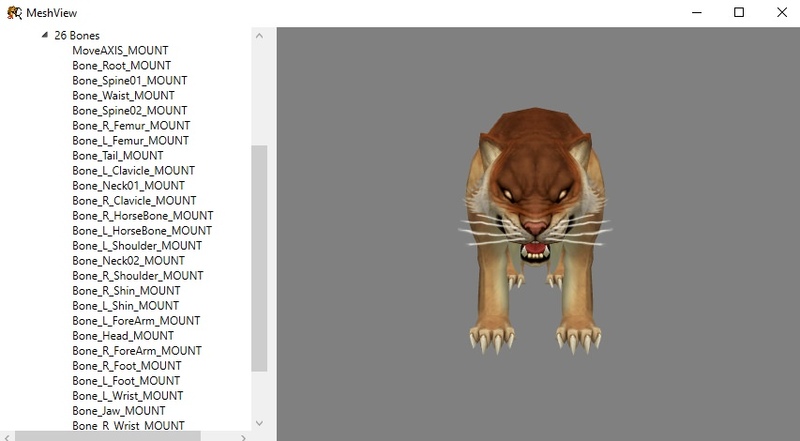 Then in "Titan Quest Anniversary Edition/Database/Creatures/Monster/Saberlion" folder place the mount mesh. (or in the hyena folder, if you are using hyena, etc.). It has to be in the same directory where you extracted it, only in Database, not in Resources. 7. Now comes the more tricky part - animation. Animation is really the key for all this to work. In the given example, extract all mounted ANM files from "Titan Quest Anniversary Edition/Database/Monster/Neanderthal/ANM" folder and place them in "Titan Quest Anniversary Edition/Database/Creatures/PC/Male(Female)/ANM" folder. Rename each from them to character animations (e.g. "neanderthalmounted_spear_idle.anm" to "malepc_idle.anm"). Launch the game. 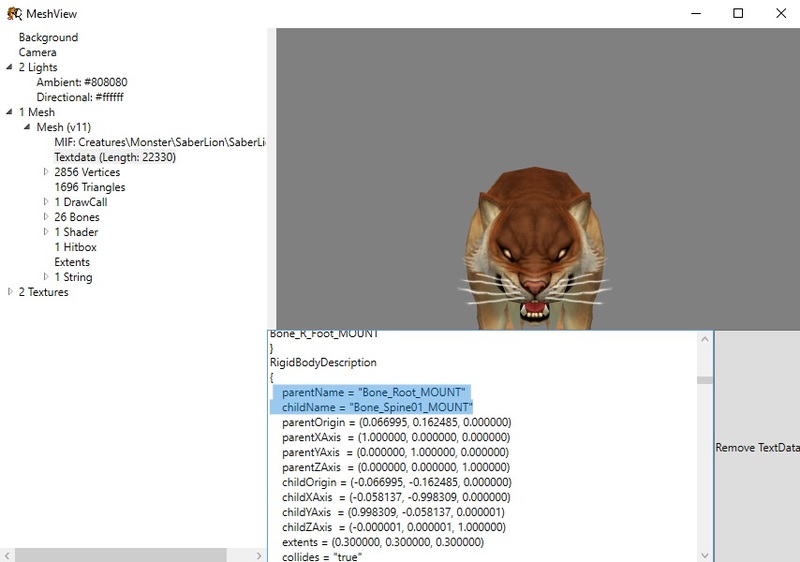 The character will be riding a lion, using mounted animation. So in theory, I could put Typhon on a saberlion? Or a boar?!?! I could only imagine how broken that would look. That is fking amamzing , omg! Edit: I'll experiment more tonight, maybe i can finally make a lampad riding an Orthus. Here my male pc riding saber tank!! My fault, looks like I've renamed wrong bones.. Check in "records\creature\pc\anm\anm_malepc01.dbr" which animations are used. The male uses female animations in some attacks and skills. If you want to make it an actual mod, i can tell you the steps. The tutorial is only a crude example how it works. No no. I am not complaining about the tutorial. I updated the male anm bones with _MOUNT by referring to neanderthals. I think I renamed wrong limbs or and I completely lost track of which were original files and which were modified. I'll modify .dbr than renaming anm\msh files in next attempt.